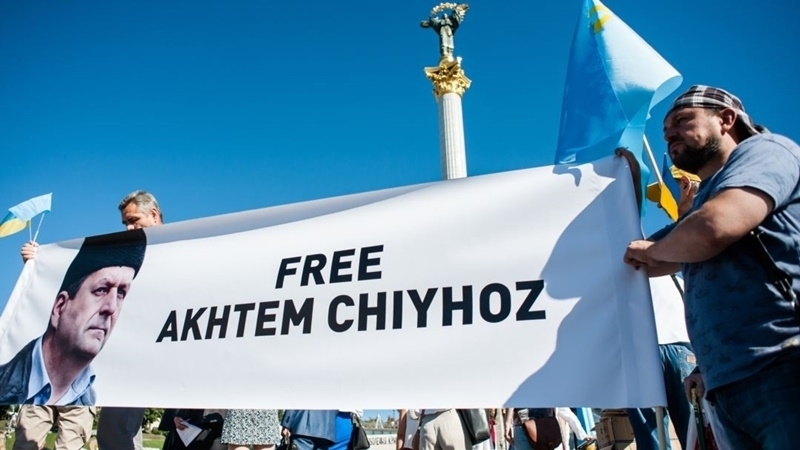 Activists intend to apply to international courts and organizations on the Chiygoz’s verdict. Human rights organizations intend to apply to international courts and organizations regarding the illegal verdict passed by the occupation court to the Deputy Chairman of the Mejlis of the Crimean Tatar people Akhtem Chiygoz. Activists shared their intentions in a comment to QHA correspondent. “The Chiygoz case is subject to consideration by the European Court of Human Rights. Mechanisms that can be used as international are all already involved. This case was filed to the International Court of Justice as an example of discrimination. This is all documented and submitted, but unfortunately, Russia does not comply with any decision of international organizations,” the coordinator of the Crimean Human Rights Group Olga Skrypnyk said. According to her, in order to really influence the actions of the Russian Federation, it is necessary to strengthen economic and political forms of pressure. "We are working on drawing up a list of sanctions, and we do not want them to be just sanctions against the entire Russian people but, first of all, we want them to affect those individuals who are actually engaged in decision-making. And, of course, we want to bring to justice all those people who did all this directly, starting from the investigator and finishing with Putin, Bastrykin and all the others who, unfortunately, unlawfully deprive our citizens of their liberty in this system," the human rights activist said. Co-founder of the Crimea-SOS, Tamila Tasheva echoed this comment, noting that despite all the repressive methods of the invaders in the Crimea, Chiygoz had not lost willpower, and he is an example for all other political prisoners. “Despite everything, Chiygoz holds on. He says that he is imprisoned for the whole Crimean Tatar people, in order to be an example to all Crimean Tatars, and also to all of our political prisoners who are in custody both in the Crimea and in the territory of the Russian Federation. We will spread information about him, and do everything that depends on us," Tasheva said.